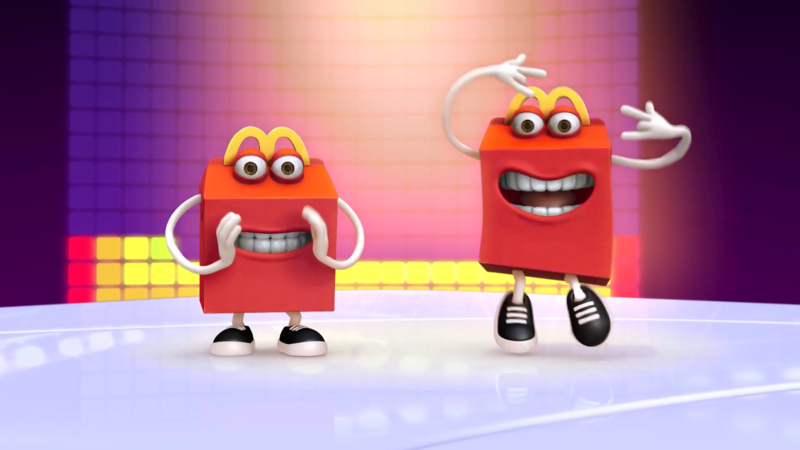 — a collection of 12 hardcover books available exclusively in McDonald’s Happy Meals. 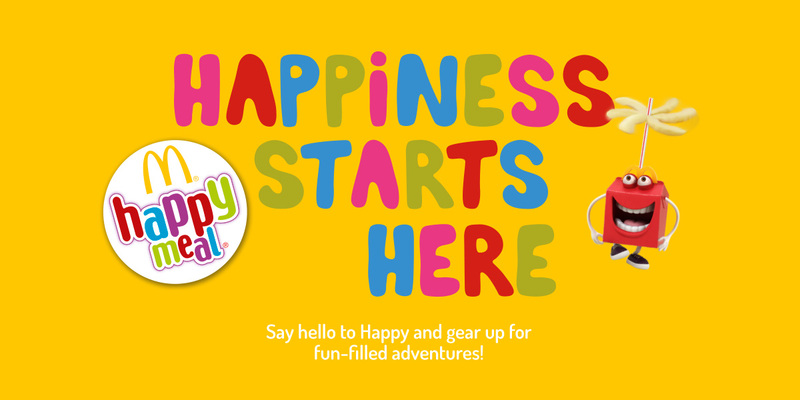 Now you can choose from a book or toy in every Happy Meal®! 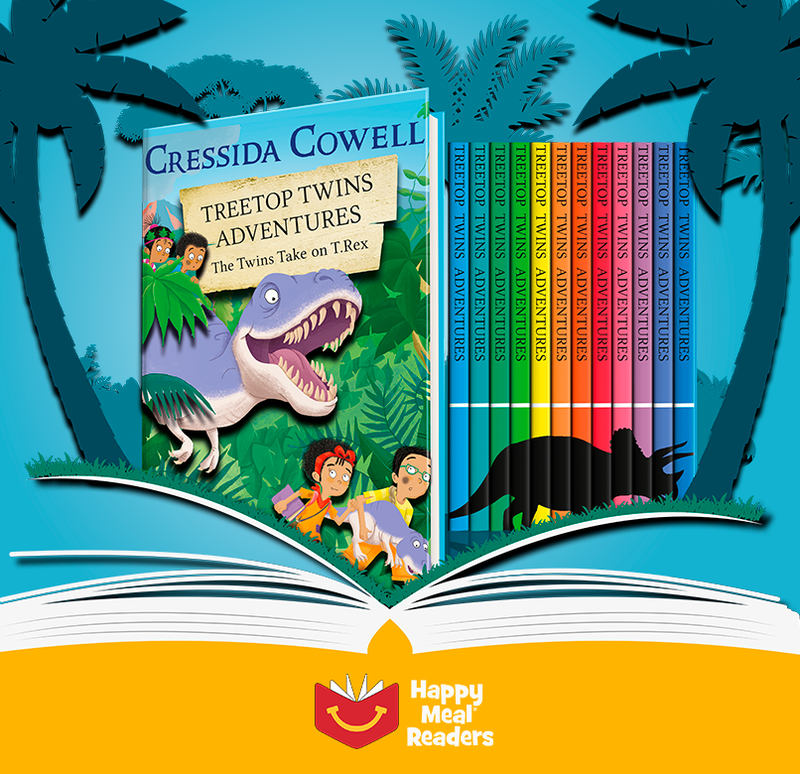 We’ve partnered with Cressida Cowell, globally renowned author and illustrator of the bestselling ‘How to Train Your Dragon’ series, to bring you the ‘Treetop Twins Adventures’ — a collection of 12 hardcover books available exclusively in McDonald’s Happy Meals. 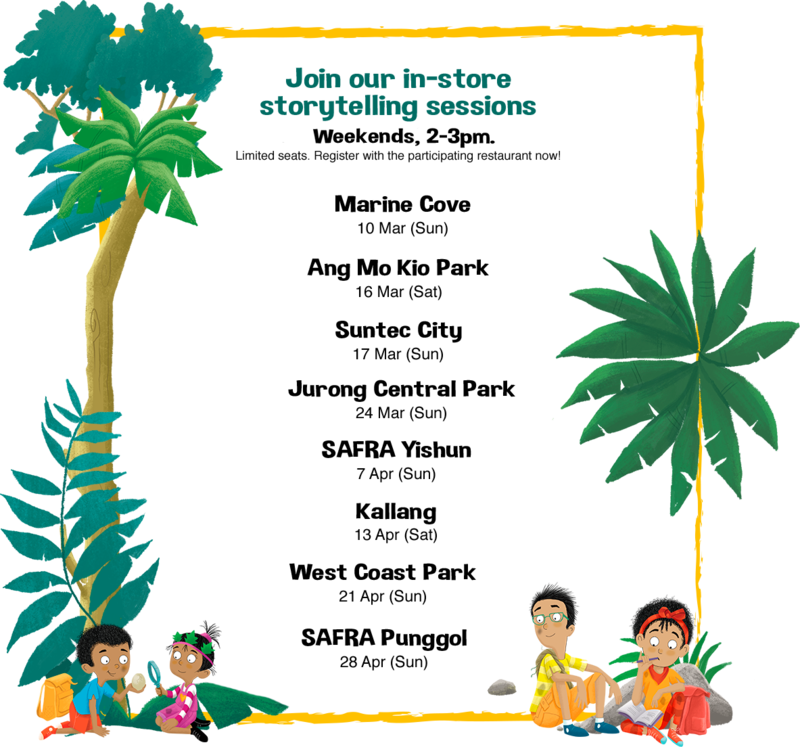 to instill a lifelong passion for reading in children and further inspire fun moments of family bonding. 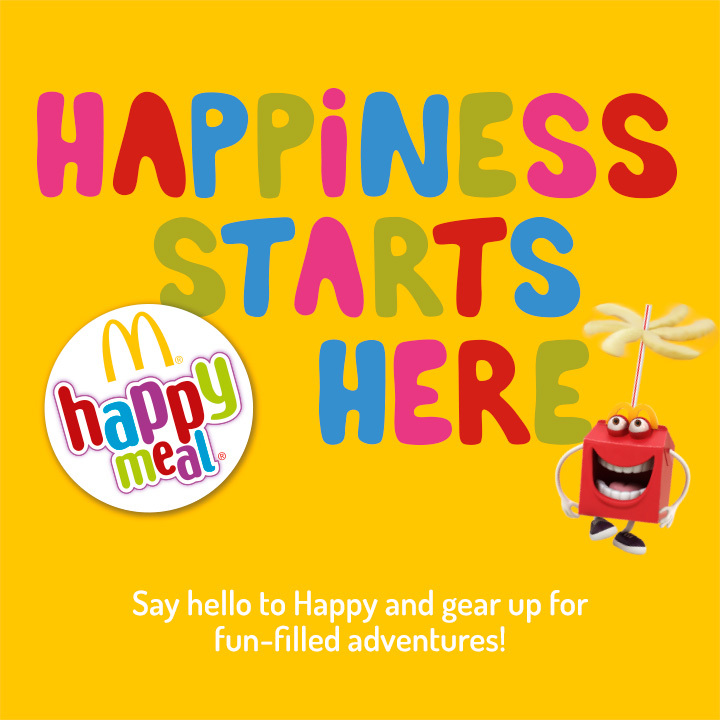 As part of deepening our commitment to families, we are launching the Happy Meal Readers Program to instill a lifelong passion for reading in children and further inspire fun moments of family bonding. — Alfie and Asha, and Tulip and Ted, the luckiest twins in the world. 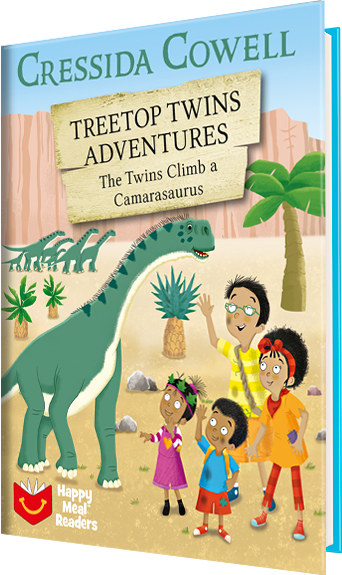 In this exclusive 12-book series written exclusively for McDonald’s, we meet the Treetop Twins — Alfie and Asha, and Tulip and Ted, the luckiest twins in the world. to helping a baby dinosaur find its way home. 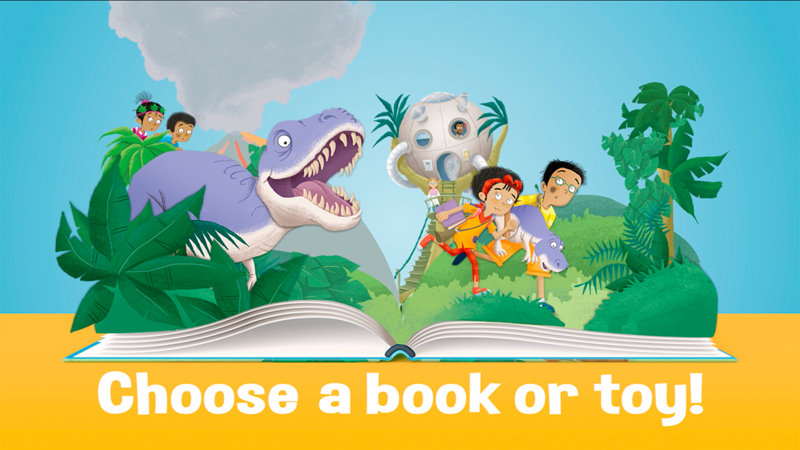 Travelling back in time to the land of the dinosaurs, they go on adventures both great and small – from escaping the jaws of a T-Rex, to helping a baby dinosaur find its way home. the twins on each of their adventures! 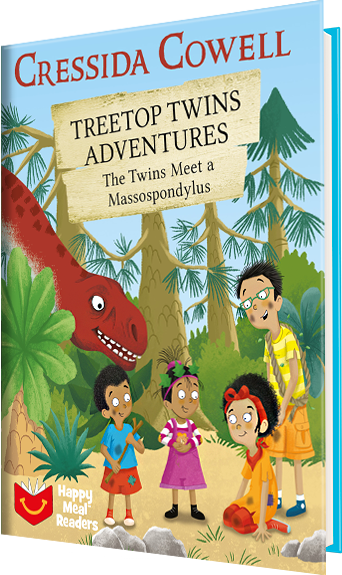 Keep an eye out for new book releases to join the twins on each of their adventures! with Ted on him. Uh oh! DISCLAIMERS: Quantities are limited, available while stocks last. 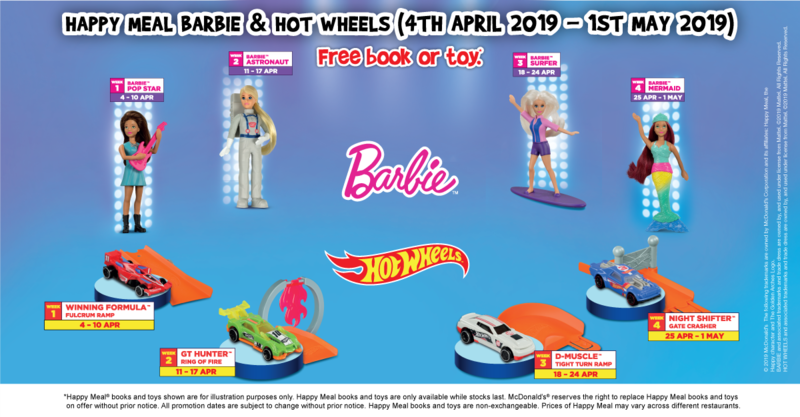 Visit any McDonald’s restaurant to enquire which book or toy is available. 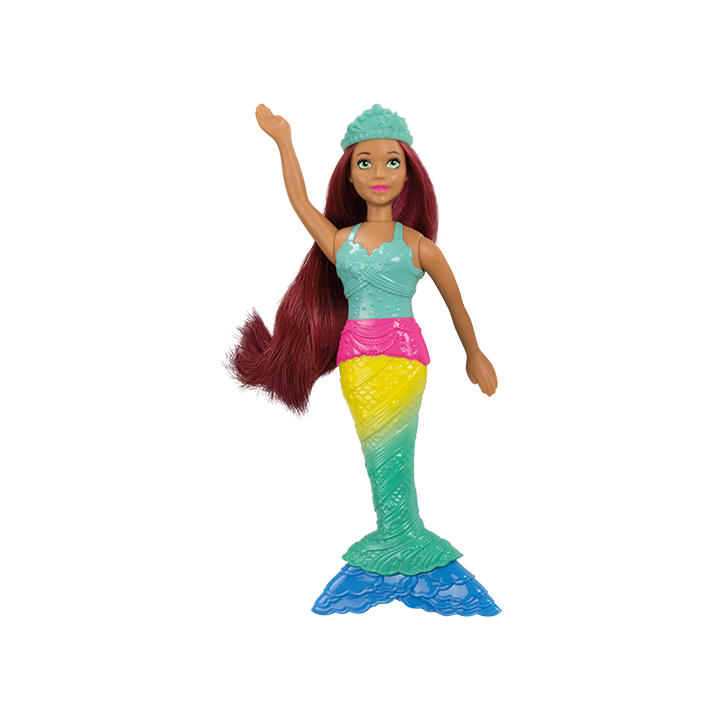 add a touch of magic to story time! 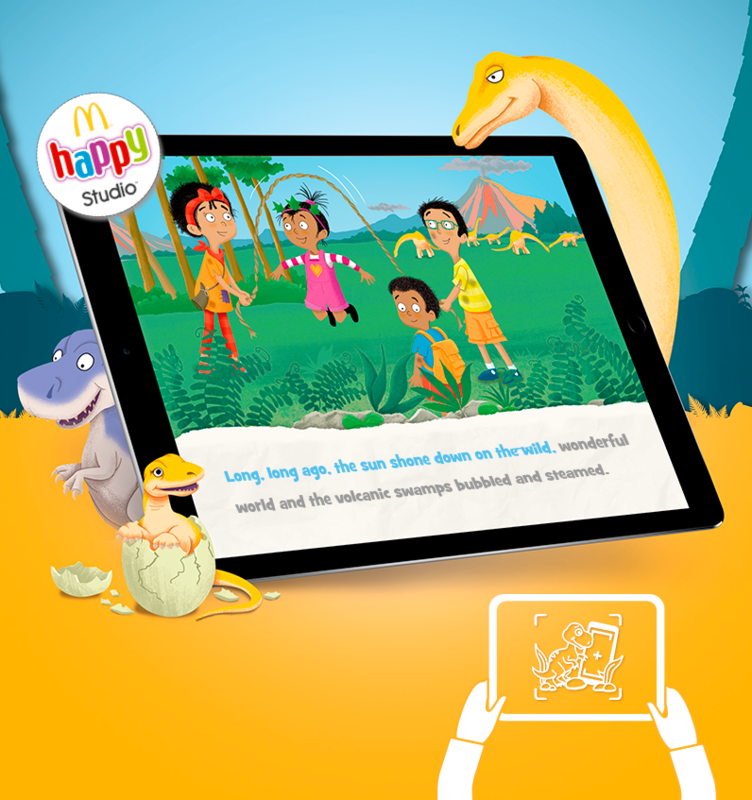 Download the Happy Studio app and scan the back of your book to experience the sights and sounds of the Treetop Twins’ world as you read along. 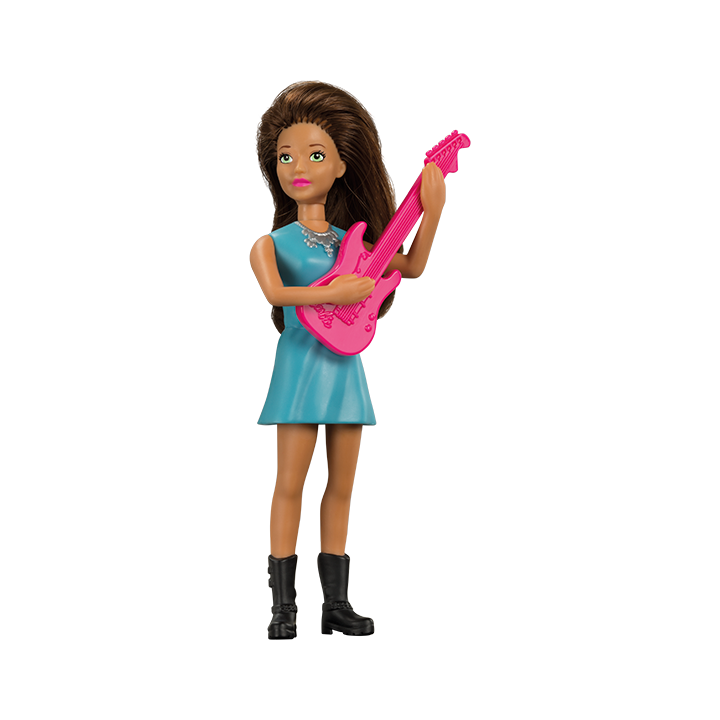 Watch their adventures come to life and add a touch of magic to story time! 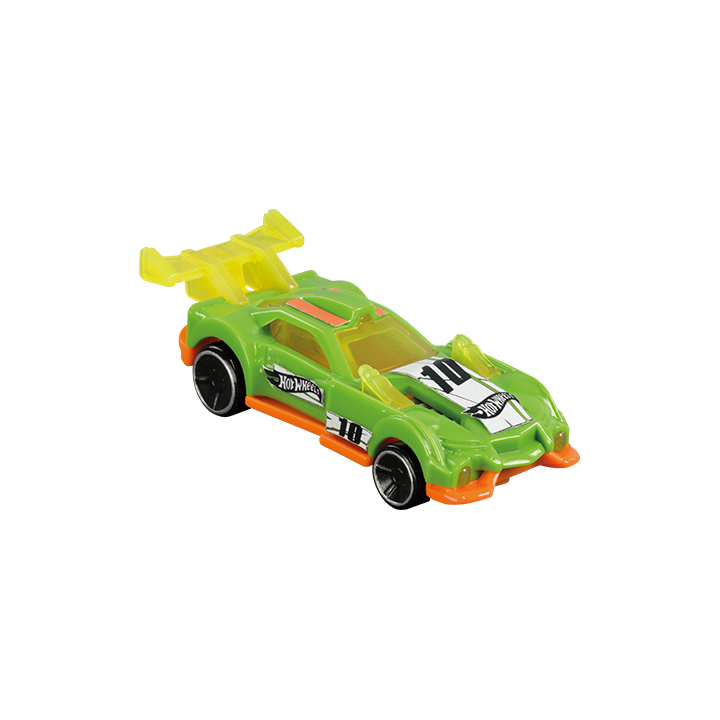 BARBIE & HOT WHEELS HAPPY MEAL TOYS NOW AVAILABLE! 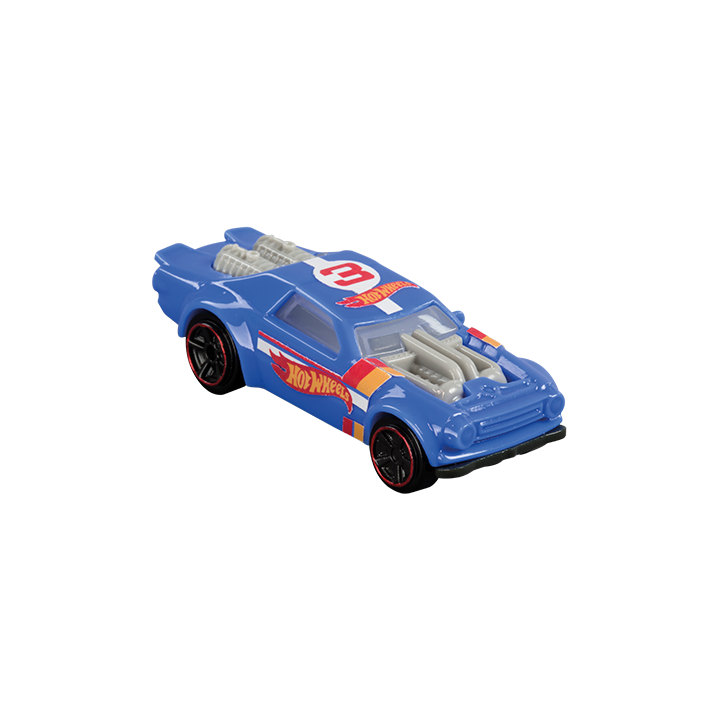 Allergen: Chicken McNuggets® 4pc Happy Meal® contains wheat, gluten, sulphite and milk. 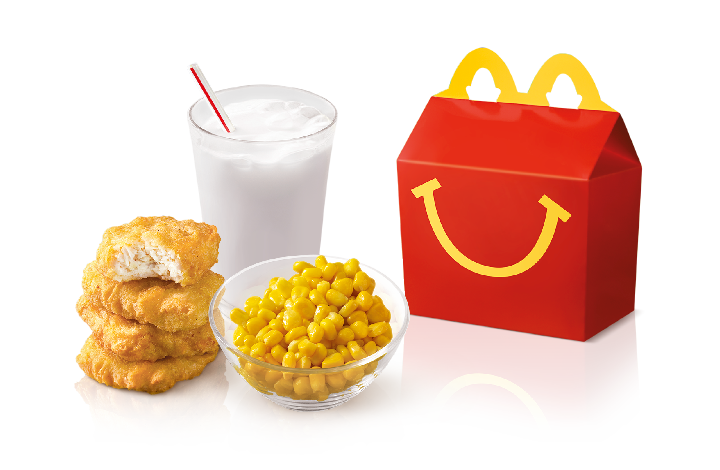 Allergen: Chicken McNuggets® 4pc Happy Meal® contains wheat, gluten, sulphite, milk and soy beans. 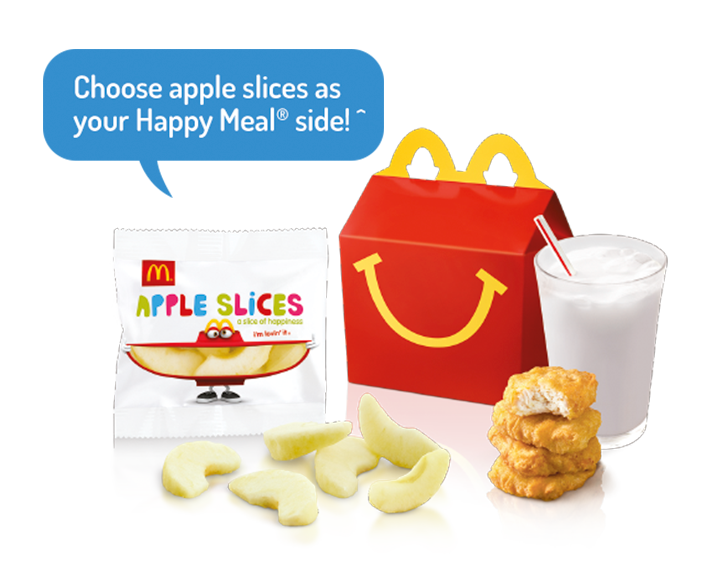 ^ Apple slices are available as an à la carte item at all times, but only available as a Happy Meal® side after breakfast hours. Not available at institutional stores, McDonald’s Clifford Centre and Park Lane. 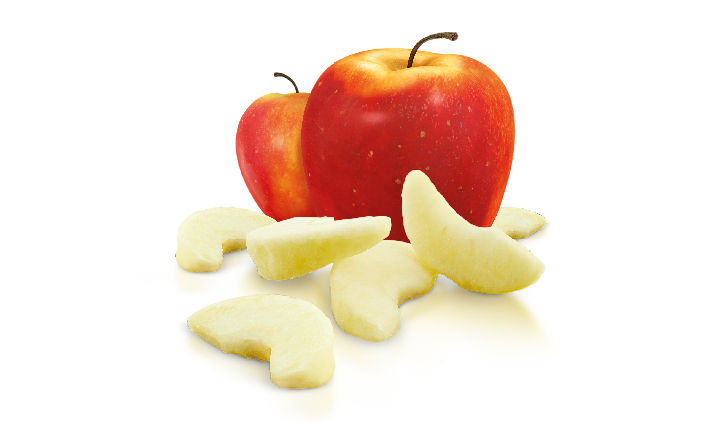 Enjoy a slice of happiness with our apple slices. 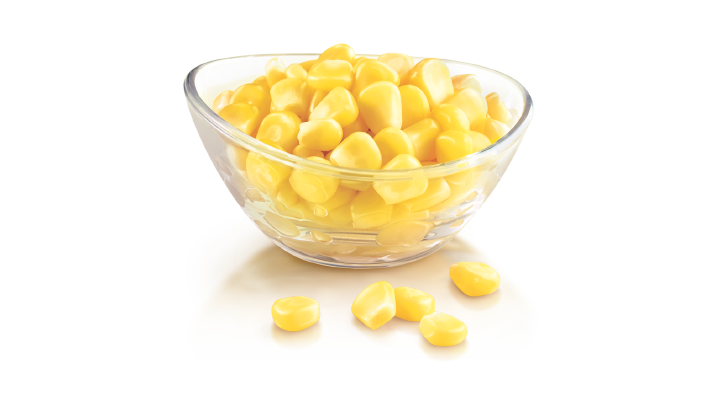 The same great-tasting corn kernels, now with reduced sodium. 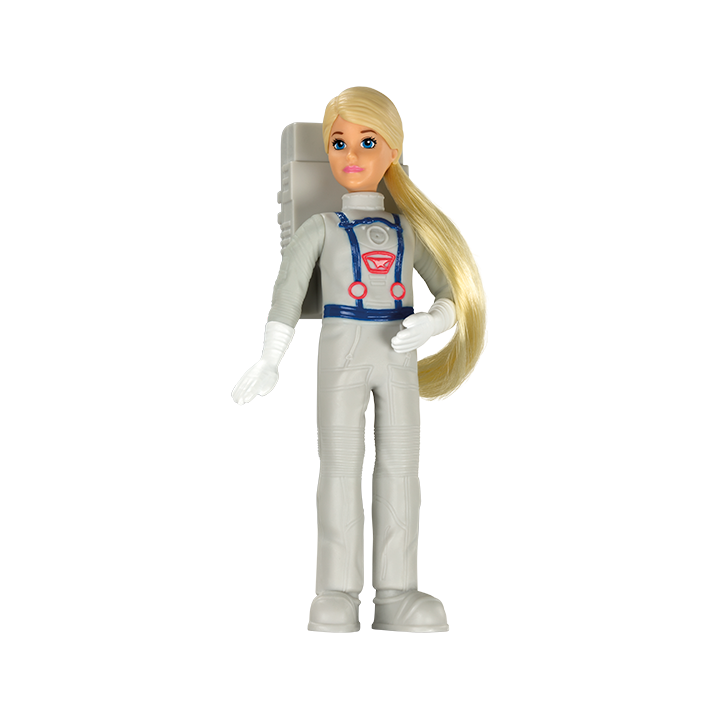 *This nutrition information is derived from testing conducted in accredited laboratories, published resources and/or information provided by McDonald’s suppliers. The nutrition information is based on standard product formulations, serving sizes and average values for ingredients from McDonald’s suppliers and is rounded in accordance with applicable regulations/guidelines. Variations in serving sizes, preparation techniques, product testing and sources of supply, including regional and seasonal variations, may affect the nutrition values for each menu item. 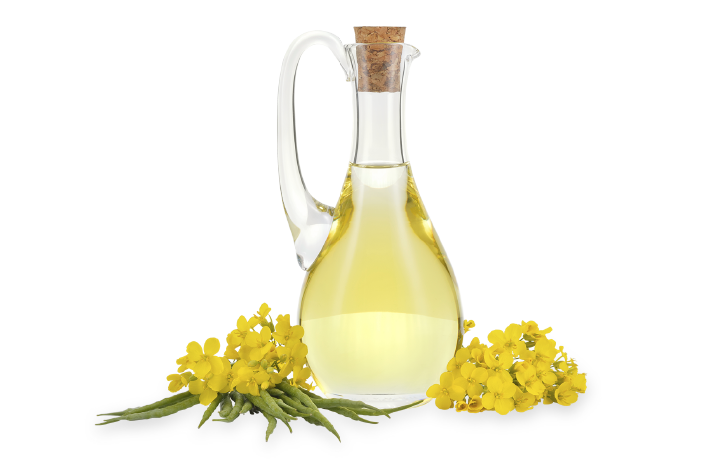 In addition, product formulations do change periodically. You should expect some variation in the nutrient content of products purchased in our restaurants. 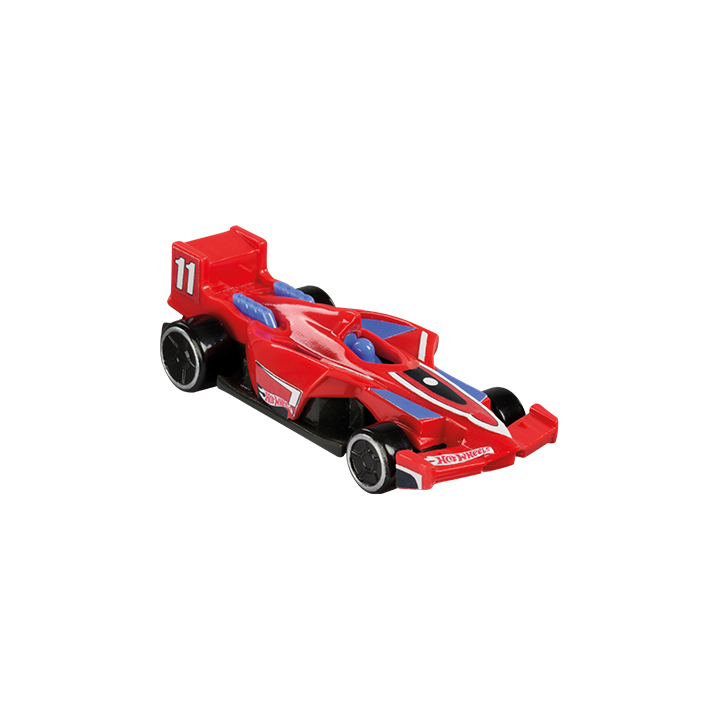 This information is current as of March 2015.